Purchase now in paperback and on Kindle from Amazon. Humiliated, dumped and fired: this has been Ivy Efferson’s week so far. With only six weeks until their wedding, fiancé, Will has called things off. While all her friends were travelling the world and climbing the career ladder, all Ivy dreamed about was getting married and having a family of her own. With no partner, job or home, Ivy is desperate to escape her shame and break free from her disapproving mother and perfect sister. Leaving Edinburgh behind, she heads for Richmond. The leafy, Surrey suburb has always been her source of comfort and solace: Granddad’s jasmine scented garden, soothing walks by the riverside, and the chance to rediscover her passion for art. 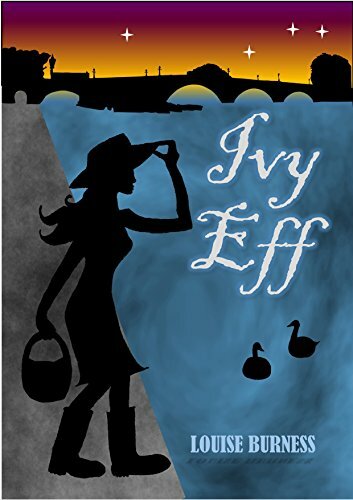 Most importantly, Ivy has made the decision that she will rely on no man to give her the child she craves. She plans to go it alone and have an IVF baby. After all, if things can go wrong with Will after eight years, why should she take a chance on someone new?